You will have a registered nurse (R.N.) assigned to care for you at all times during your hospitalization. Your nurse will work hand in hand with your physician to coordinate your care. If you should have any questions about your plan of care, or any other aspect of your hospitalization, your nurse will either provide the answer or will find the answer for you. In addition to the nurse directly assigned to your care, a charge nurse is assigned to coordinate the activities of each unit. This individual is available to answer any questions or concerns that could not be answered by your nurse. The patient care associate is available to assist you in taking care of your personal needs. The PCA will also assist your nurse in completing essential monitoring of your medical condition, including taking your vital signs and drawing your blood. On some units this position is referred to as a critical care technician CCT). Hospitalists are doctors who devote their practice to the care of hospitalized patients. Our hospitalists are board certified in internal medicine. They see hospitalized patients who have been referred by primary care doctors, emergency room doctors or other physicians at the hospital. They do not see patients outside the hospital. 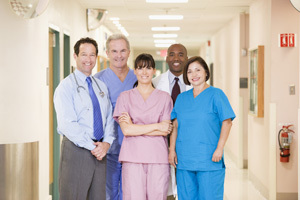 There are a number of reasons a hospitalist may coordinate your care during your stay. For example, your primary care physician may request that a hospitalist be responsible for your care while you are here if he or she is unavailable to do so. The hospitalist will coordinate your care and oversee the health care team taking care of you while at Northwest Hospital. One of the important aspects of your care is ensuring the continuation of your treatment plan following your discharge from the hospital. Representatives of our Case Management department are here to assist you in finding the equipment or services you may need. In addition to this function, our social workers assist in addressing the emotional needs of our patients and families in times of crisis. If you feel a need to speak with a social worker, please notify your physician or nurse. Someone from our Environmental Services department will come in every day to clean your room. We attempt to do this when you are away temporarily for a test. If you have any cleaning needs, please contact the HELP Line at extension 24357 and select number 2 for housekeeping/environmental services. In addition to the roles described above, there are many other support departments that may be involved in your care. These caretakers include consulting physicians, physician assistants, nurse practitioner, respiratory therapists, physical therapists, registered dietitian, radiology technicians and many others. If you are unsure of an individual’s role in your care, or have a question related to a test or procedure being performed, please do not hesitate to ask.